Full dominoes set in box. 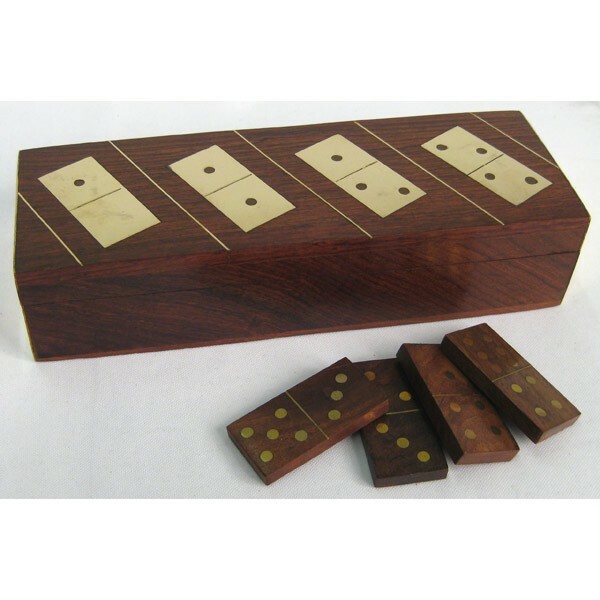 This item is made by craftsmen from top quality solid sheesham wood (Indian Rosewood), both box and dominoes are inlaid with brass and then hand polished to a very high standard. You will be impressed with the quality, would make an ideal gift.